Resolutions in Review: Six Months In! The picture above is a list of my New Years Resolutions that I framed exactly six months ago. Amazing. It’s hard to believe we’re already half way through 2013, and only six months away from Christmas and 2014! Where does the time go? I decided I wanted to reflect on this, when I looked at my list again last week, and realized I was accomplishing some of these things, and incorporating them into my life, while others, I haven’t kept up with, or tried to improve for myself. 1. Drink More Water. Ugh, this has been the hardest for me, because I haven’t made it a priority. Water is everywhere. I need to take my consumption more seriously, as it helps with your health, cleansing, skin etc. I’ve decided I’m going to bring a gallon (yes, and actual gallon), of water to work each day, and promise myself I’ll bring it all within the work day. 2. Spread Positivity and Upkeep My Website. YES. This website has been a godsend thus far in 2013, and helps me to feel more connected with all of you. THANK YOU for making this website a success and for spreading the Sparkle and positivity along with me. 3.Be Punctual. I’m getting there! !… So much better than 2012! I’m going to continue incorporating more time into my day to ensure I get to places on time. The biggest issue I find with this is allowing myself an appropriate time to sleep each night. I’m going to challenge myself to get more rest, so I’m not dragging as much in the early mornings. 4. Get More Organized (Plan!) This is something I work toward every. single. day. and I feel that it’s getting better with time. Planning, strategizing, organizing– all of this comes easy to many people, I’m not one of them. Haha, if you’re a planner, good for you!! !… I’m going to continue to work on this long after 2013 passes. 5. Be Yourself. This one means the most to me. It’s only two words, but it carries the most meaning. I can’t say that I lived a life where I wasn’t myself in the past, but I began to notice that too often, I was worrying about what others thought (too much) and would dim who I was or my personality, to yield to the needs/expressions of others. I think #5 is something I’ve worked on through the creation of this site. The Weekly Sparkle is 100% my thoughts, feelings, topics, areas of interests and things I want to share with all of you and get your opinions, thoughts etc. What do you do to become more in touch with yourself and who you are? I have more plans to better myself for the rest of 2013, which is why I’m glad to have visited my New Years Resolutions again and remind myself of the promises I made six months ago. 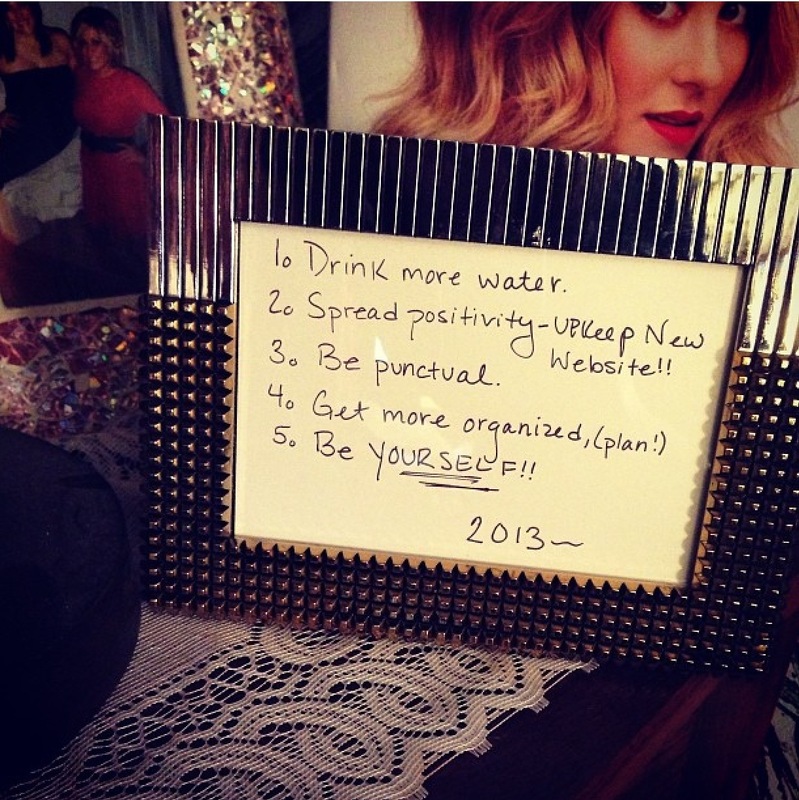 Are you keeping up with your Resolutions?! If so, congrats. It’s an incredible feeling to follow through on goals you set for yourself. If you’re struggling, it’s okay. You have six months left in 2013, which is plenty of time to make the improvements you were hoping for. I had the opportunity to watch this video a few days ago, and I knew it was something worth sharing. 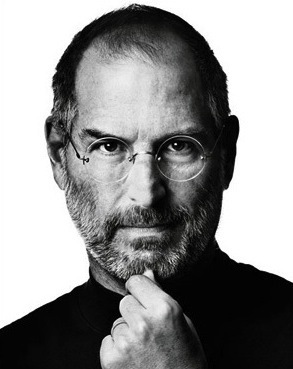 Steve Jobs is someone I have grown to admire over recent years, as it seemed like his influential and motivational speeches, comments, conversations etc came more to light before his passing. I lump the lessons I’ve learned from him with some of my other favorite, inspirational people, like Oprah, Ellen and classic go-to, Confucius. 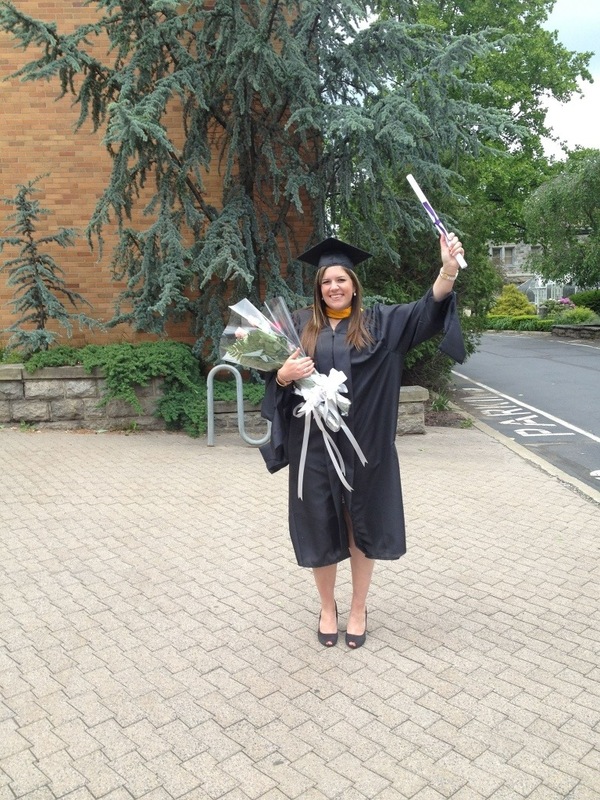 Last weekend, I walked in my graduation from the University of Scranton where I received my Masters degree in Community Counseling and Mental Health. While I finished classes months ago, I knew I wanted to walk in the ceremony, as the sense of accomplishment and success hadn’t fully set in since completing my course work. This is probably how I stumbled across this video. Each year around graduation time, all of these videos, commencement speeches and books surface to inspire the grads as they move ahead in life. “Sky’s the limit,” “Oh the places you will go;” “Let your dreams and ambitions come true,” are all sayings and motivation we offer to those graduating in our lives to show them we believe in them and know they have the power to accomplish great things. In hearing Steve talk in this segment, I’m inspired by the not-so-common approach he takes when looking at achievement and success in life. He says, “…life was made up by people that were no smarter than you. And you can change it, you can influence it, you can build your own things that other people can use.” I LOVE this. He’s right. The world we live in tells us what our successes can amount to and what is expected of us as we strive toward greatness. I guess what I gather from this mainly, is that we are the ones who can define for ourselves just what greatness is. This is why I’ve begun my journey and created The Weekly Sparkle. This is what my site and definition of Sparkle is: become your best self in the way that YOU define it. Go against the grain. It is so easy to fall in line with what society tells us and expects of us. I am by no means saying we shouldn’t want a family, good career or to “stay in the lines.” I’m simply saying that the greatness within you can be one that the world has never seen; spinning a new way to influence others and add value to the world we live in. My desire in life is to break the mold, be different, inspire others and leave the world a little bit brighter, just because I was here and impacted the lives of others. As I reached another great milestone in my life, I’m reflecting upon the amazing experiences I’ve had so far, where they can take me, and the blank pages ahead of me that are open for my interpretation and ability to make a change. I want to continue to pass the Sparkle to all of you, and challenge you to do the same for those in our life. Go against the grain, and be bold.